This has always been a great way to bring the community together. Really awesome of Marty to step in and lead the charge this year. Merry Christmas and Happy Holidays to all. I was scared that I was going to be banned, I was late getting my gift out, But looks as though everyone made out really well!! @mcgolden , I had your name, glad you liked it all. I hope we had 100% participation, and can't wait for next year, Wishing everyone a safe and Happy New Year!!!!! PS, and yes, THANK YOU Marty for making this come together so well. Thanks for the bumper sticker Joe, I love it! Yepper! Thanks for Bumper sticker @JEBIV (Joe)!!! LOVE the sticker! Thanks @JEBIV Much appreciated. Happy New Year WKC! Thanks for making Secret Santa a great success. I believe everyone is accounted for, and most if not all have sent and/or received their gifts. Please let me know if anything went missing and we'll resolve. Special thanks to Joe @JEBIV for the surprise bumper stickers and for his many posts along the way. Lots to look forward to in 2019, and we'll do this again to wrap up the year. Hope all your kettle dreams come true this year! 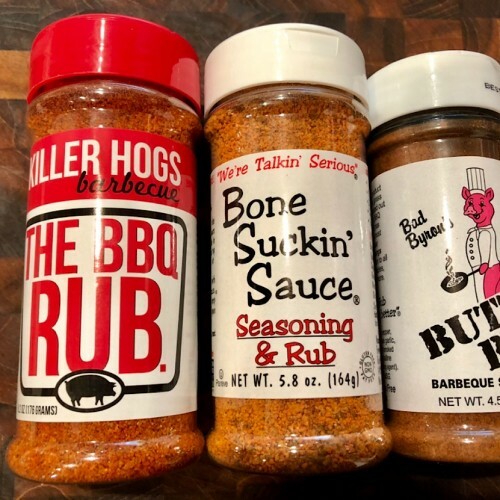 @inkaddictedchef1 , Thank you very much for the bitchin set of rubs! Merry Christmas and Happy new year. I’d like to extend a huge thank you to BOTH my Not So Secret Santa’s!! I received a message from my original SS saying my gift was in the mail but it would be more of a New Years gift. No problem. I get it, things get busy. So just before the new year, Marty( @56MPG ) contacts me asking if I have received or had any contact with my person. He had no tracking info from my SS, and was wondering if I received anything. I tell him they messaged me and we will have to wait for a bit. No gift shows well into January, and we are convinced nothing will be arriving anytime soon. Marty and Joe ( @JEBIV ) have a plan in place, and both of them send me gifts! I must admit at first I was pretty bummed, but Marty and Joe did a great job making this a great first time Secret Santa experience. Thank you both, for the wonderful gifts. Not the first time this happened, but we always try to make things right. Communication and follow through is key for this to work, and it’s why we try to make it easy to participate. We had one or two sign up and then something came up and they had to back out. That’s cool. They let me know early and we made the adjustments. Still not sure what happened in this case, and I hope all is well with SS#1 since there has been no contact, but WKC goes on. My Secret Santa finally arrived! 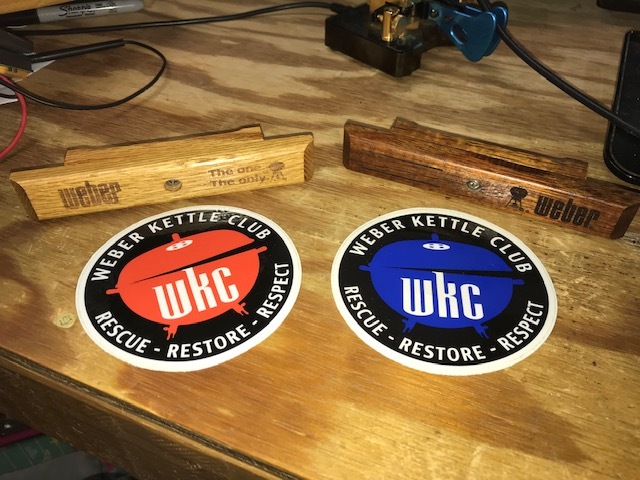 @troyredington Thank you very much for the handles and stickers! I'll have to figure out where to put them to good use... perhaps my SJ can lose it's plastic handle. Looking forward to next year!